The Q Series Pro drives are only 7mm thick, so they'll fit in just about any laptop that supports a 2.5-inch drive. 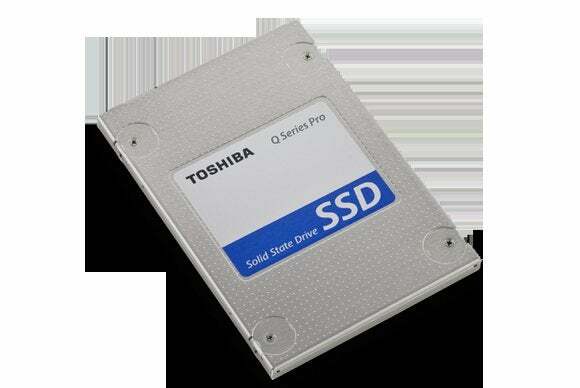 The controller is Toshiba's own TC358790XBG, as is the 19nm Toggle-mode MLC NAND. In our tests reading and writing a single 10GB file (using a 16GB RAM drive on our test bed), each of the three capacities Toshiba sent us—128GB, 256GB, and 512GB—proved excellent performers. 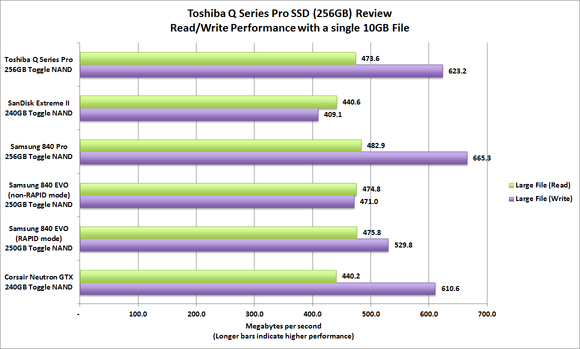 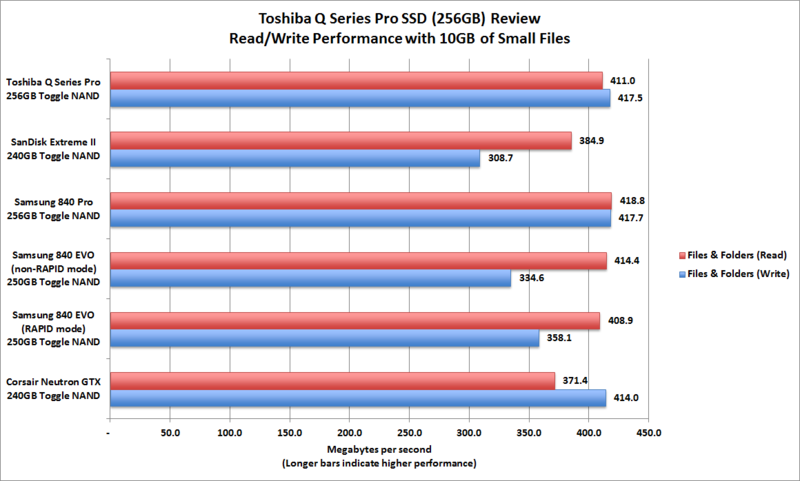 Though a couple of ticks slower than Samsung's 840 Pro, Toshiba's Q Series Pro SSDs are still top performers.